Hey gang, it’s been a while since writing a blog. A lot has been going on. I spent much of the year building my private investigation business and working as a full time investigator again. 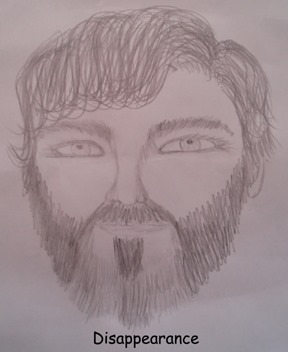 So while I am on the computer and in the field quite a bit over the summer, much of it was spent in professional efforts rather than a cryptozoological one. Now that thinks are back to a dull roar, I can now spend some time enjoying my pastime, the more crypto and paranormal things. First my usual winter warning. 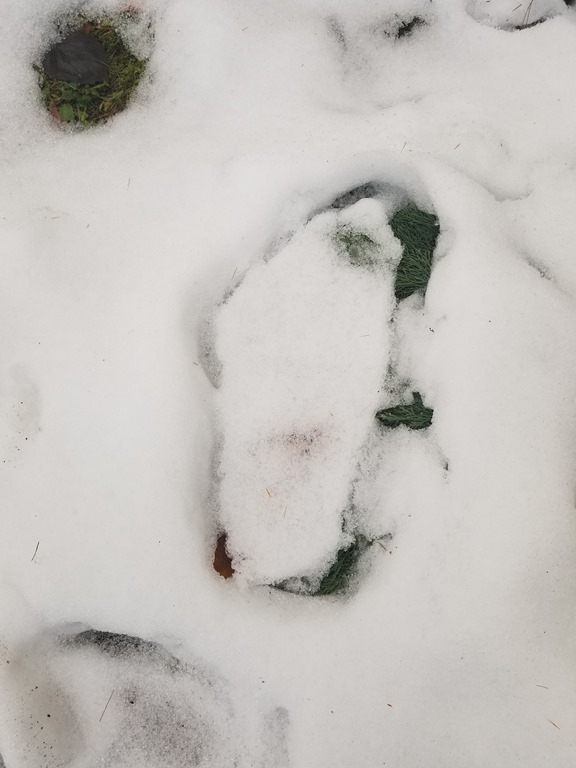 Lots of times I will get pictures from folks featuring tracks in the snow. 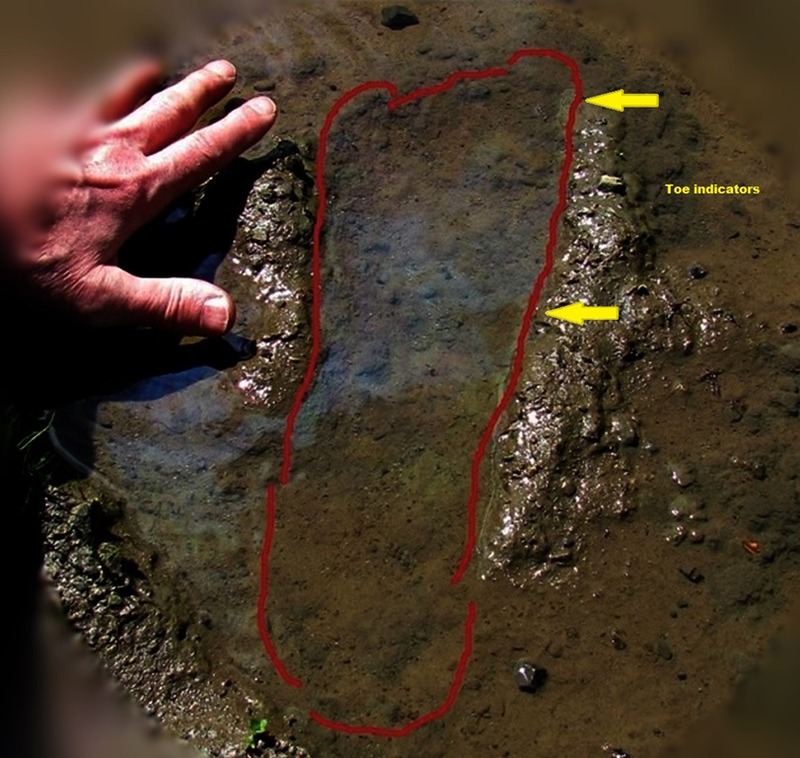 Many do not consider that melt can occur even in freezing conditions as sunlight hits a track. 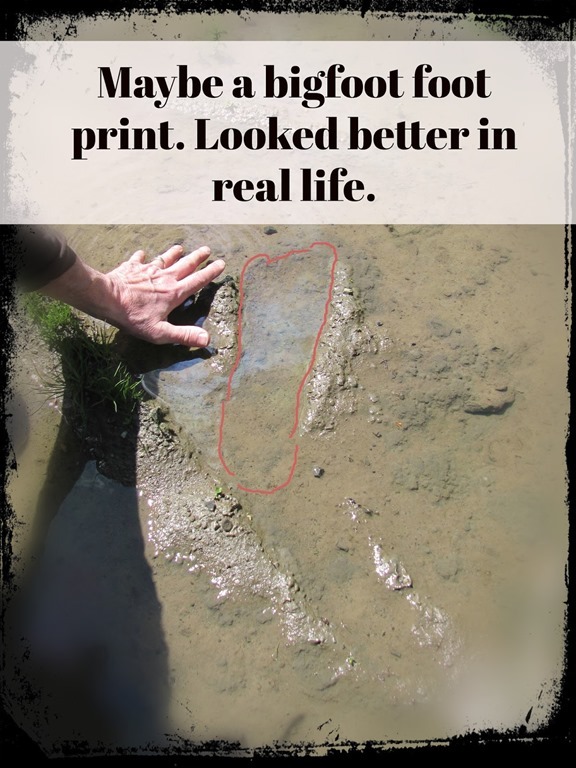 Here’s a picture from my front yard showing what a boot print looks like after a few days of some sunlight on it. The print itself expanded exponentially and looks more like a bare foot than a booted or shoed one. So..caveat emptor. So over the fall during the Whitehall Sasquatch Festival I met a lot of folks. 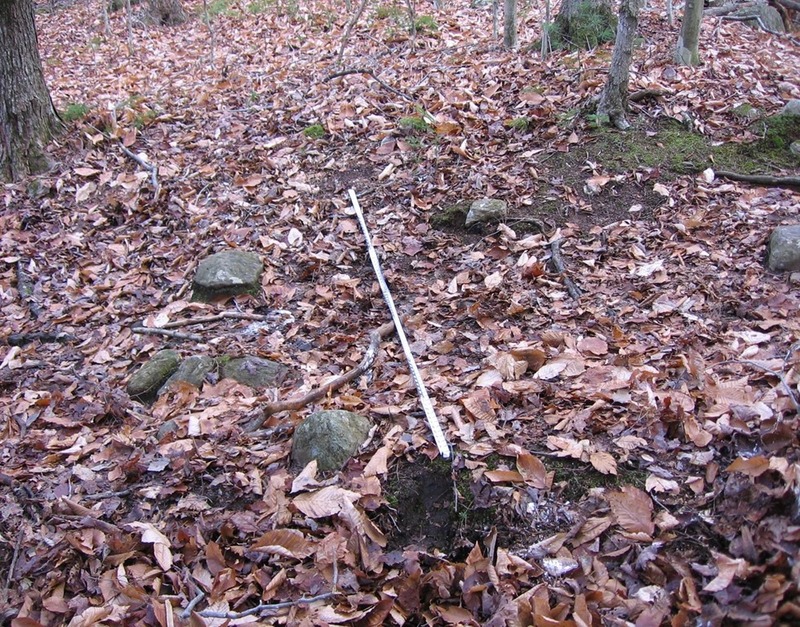 The first was a woman who had a very interesting video capture and is going to be the focus of an investigation over the spring when foliage comes back, and the snow cover get’s lost! Sorry have to hold that one back until I can properly investigate it. 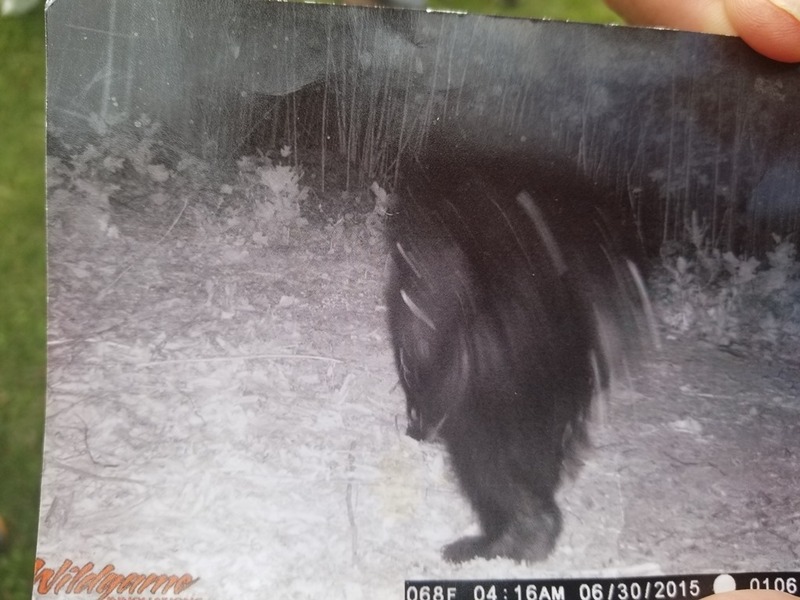 I also had a gentleman approach me and state he had an interesting trail camera shot, and showed it to me and I took a picture of the picture. In the beginning of December it has started to make the rounds on YouTube and several websites and Facebook posts. 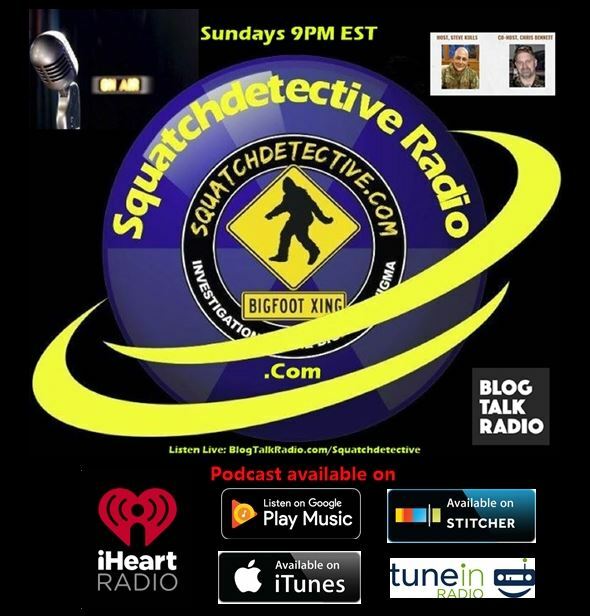 The video below from the Squatch Watchers Channel has an interview with Joe Hunt, the submitter of the picture. 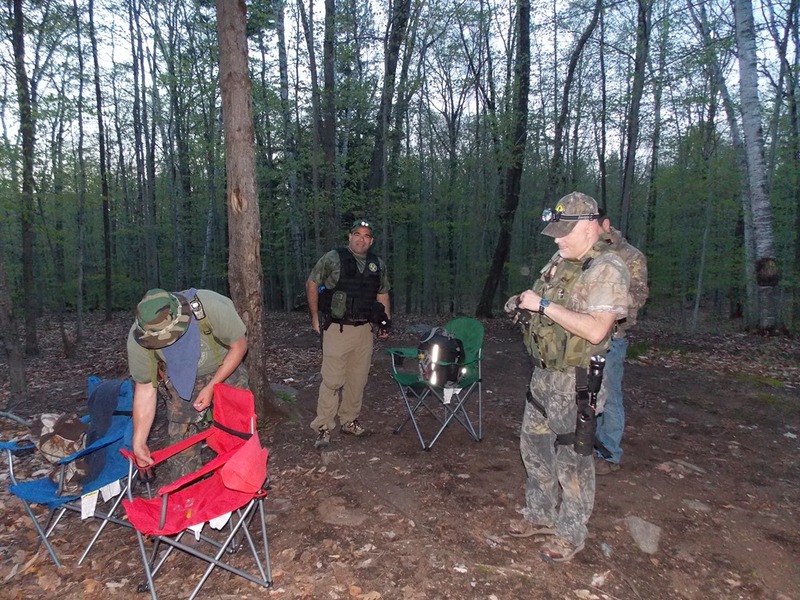 The picture was taken on private land in June. Now the picture does have a year stamp of 2015 and whether that was an oversight, we are still not quite sure if the camera had the wrong year on it or whether or not it was taken in June of 2018. 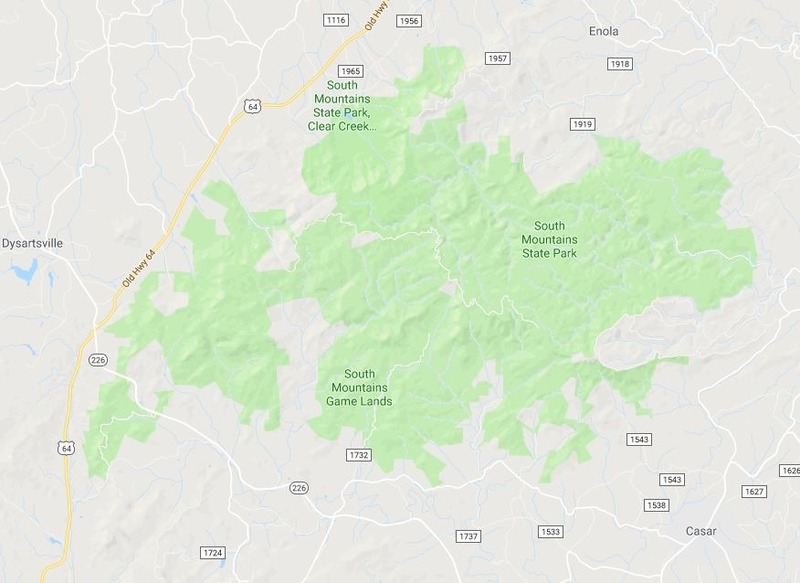 During the interview, which appeared to be sincere and authentic of Mr. Hunt, he did state the picture was taken in June on private land adjacent to the South Mountains Game Land in North Carolina. What would I like to see, is some comparison pictures of humans, using the same camera with the same tree. 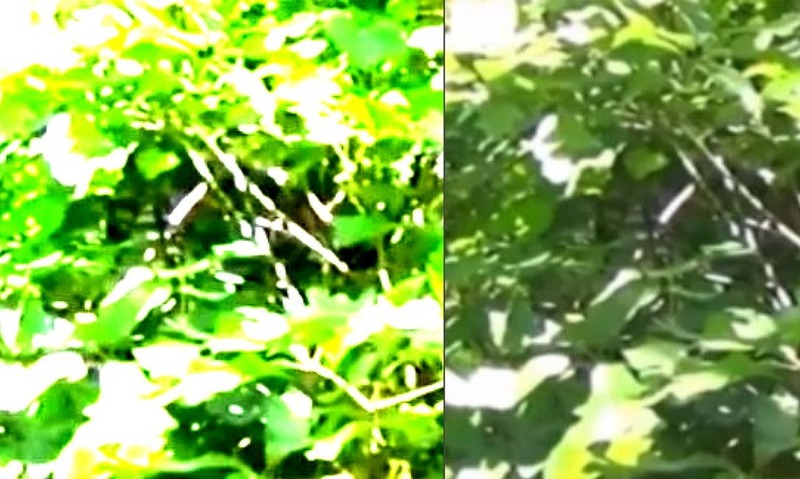 Comparison pic with the camera, posted on the same tree, at thee exact same height and angle the camera was originally placed with some known variables as a test subject to properly ascertain height, width and distance from the camera. Clarification on the exact date, 2015 or 2018? Other captures from the camera the time it was up during the photo in question. 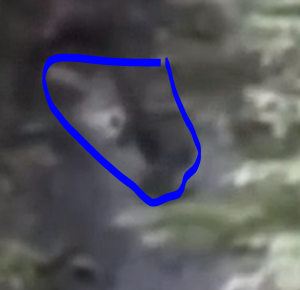 Other than some testimony from an experienced hunter, we lack the investigation into the photo and we get rather a subject analysis, albeit a good one. 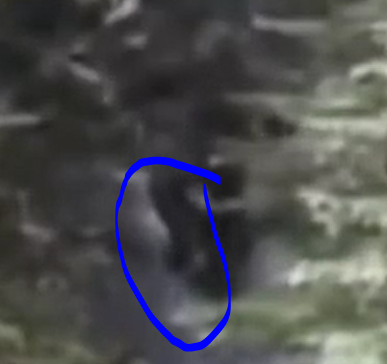 A proper investigation will answer the questions to lend credence to the photo that this is a Sasquatch, or debunk it, but it needs to be done. A little quick work of my own… sharpened and cropped. The good news at least is that there is a story behind it, not just some random photo and it certainly requires more investigation before any labels be put on it. My initial thoughts are, look at the leaves in the background and sticks on the ground. 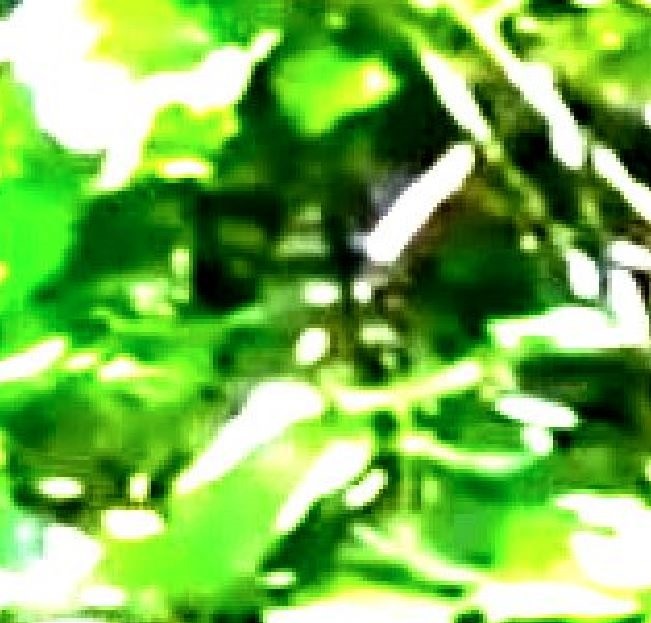 If we are looking at a 5, 6 or 7 foot creature, those leaves and sticks look awfully big. And we don’t see trees in the background, we see plant life. A recreation photo would do much to answer those questions. 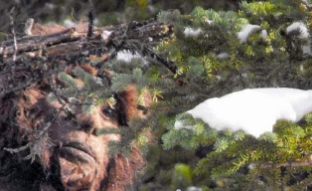 I’d like to share a couple of passings in the Bigfoot Community. First is Leroy Blevins. Mr. Blevins wrote a book about the Patterson-Gimlin film and recreated a suit to pony tail the work of Greg Long. 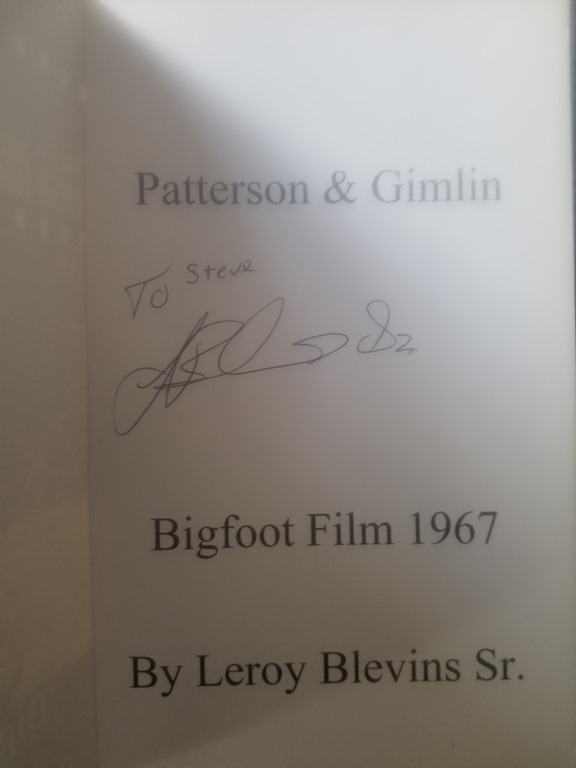 Although I did not agree with Mr. Blevins sentiments on the PG Film, and he was aware of that, he was a gentleman. While at ScareFest in 2017, he came up to my table and introduced himself and presented a copy of his book to me. Although I did not agree with it’s final premise the book did contain some great historical items not easily found. 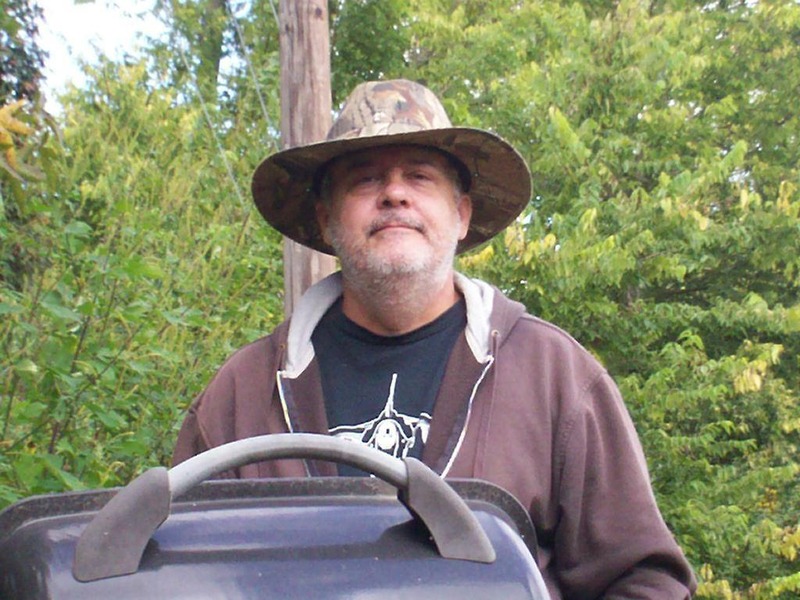 Another and very sad passing was the passing of William Dranginis long time Virginia Bigfoot researcher and an expert on FLIR technology. 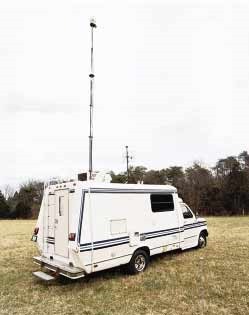 William personally was a humanitarian and dedicated family man, but perhaps best known for creating a FLIR surveillance vehicle he used in his Sasquatch missions. William was a mentor to many a his grounded approach to Sasquatch research and he will be greatly missed. 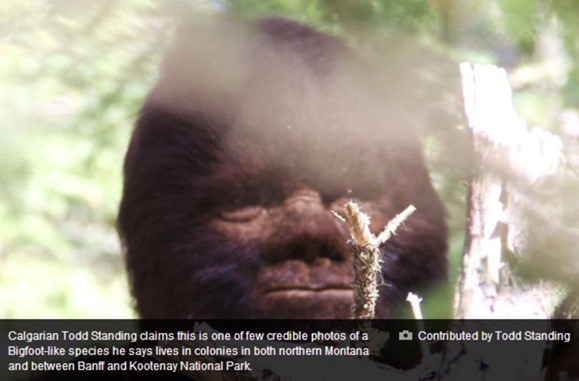 Bigfoot research over the decades has had its ups and downs. What I love most are the true scientists that come forward to assist us in the daily fight against pseudo-science and at the same time assist us in the fight against the mainstream science which out of many times, opinion discounts what thousands of witnesses have seen over the generations. 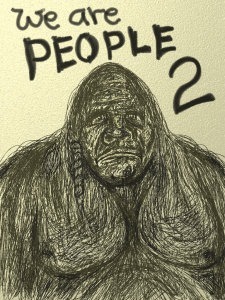 One other double standard was the discovery of the Bili Ape. 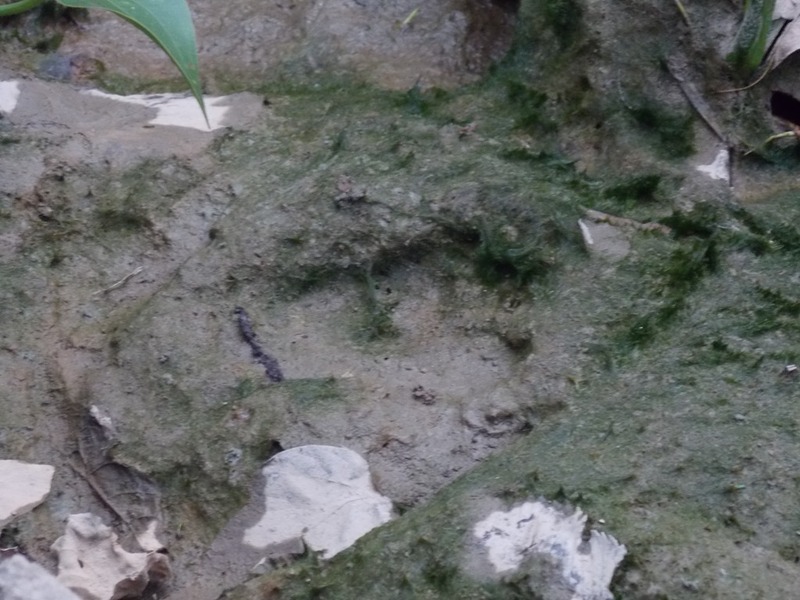 It began to originate from footprint evidence that there was a different type of primate inhabiting the jungles of Africa. However since day one, science has discounted the numerous tracks found by people, citing hoax or misidentification from minute one. The sad fact is though with the proliferation of social media, it has become easy for false news stories and junk science to be promoted as fact. And it allows people whom naively follow people without doing their homework. We have seen this time and time again with some of the folks exposed in the Hall of Shame. They obtain a following and what they say is gospel to the people who blindly accept what they preach. That is usually until they do their own research. One such scientist that’s on our side, being that he is looking at things from an unbiased point of view is Dr. Haskell V. Hart, who breaks down the nitty-gritty of DNA results and puts them to the test. Particularly Dr. Melba Ketchum’s DNA Study. The first thing that threw my BS Meter abuzz was the manner in which she released the information. Many forget about a press release a day or two before the release of the study. This violated the normal standard for scientific studies being released into the public. Dr. Ketchum was charging $30 for a download of the report the next day. Sounded to me like it was a promotional pitch to increase sales, much the way Apple releases their products. Now one might say she was trying to recoup what she spent in the study, however she was charging the folks that submitted samples in the study for those costs. Not to mention a draconian non-disclosure agreement. Basically stating they had a right to get the results, but couldn’t talk about it, ever, at all unless Dr. Ketchum herself, gives permission. All of this sounds highly irregular right? But it goes on. Ketchum had published the study in a scientific journal called the Denovo Journal, which at the time of release was called the Journal of Advanced Multidisciplinary Exploration in Zoology. 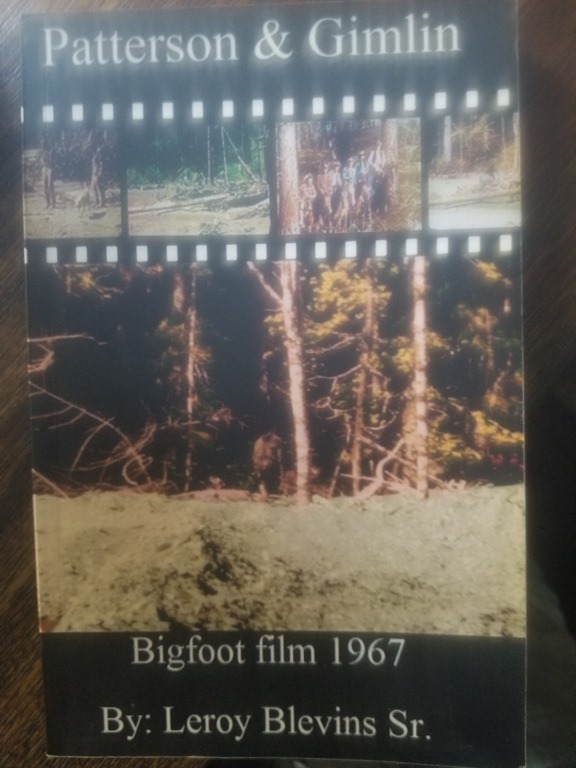 Shortly thereafter, as all skeptical Bigfoot researchers do, dug up the fact she owned the very journal and was purchased very recently to the study being published. “After this journal agreed to publish the manuscript, their legal counsel advised them not to publish a manuscript on such a controversial subject as it would destroy the editors’ reputations (as it has already done to mine). I have documentation on all of this drama. So, rather than spend another five years just trying to find a journal to publish and hoping that decent, open minded reviewers would be chosen, we acquired the rights to this journal and renamed it so we would not lose the passing peer reviews that are expected by the public and the scientific community. Denovo, the new journal is aimed at offering not only more choices and better service to scientists wanting to submit a manuscript, but also reviewers and editors that will be fair, unlike the treatment we have received. 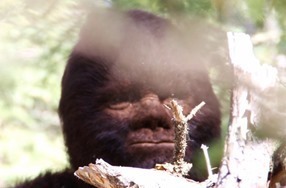 It has been a long and tedious battle to prove that Sasquatch exists. We have had the proof for nearly 5 years but building enough data to convince mainstream science has taken a lot of time. Trying to publish has taken almost two years. It seems mainstream science just can’t seem to tolerate something controversial, especially from a group of primarily forensic scientists and not “famous academians” aligned with large universities, even though most of our sequencing and analysis was performed at just such facilities. Did Ketchum realize that Albert Einstein formulated his theory of General Relativity in 1911 and didn’t get it published until 1919? The process of publishing a scientific paper is grueling and tedious. No doubt she had some push back given what I stated earlier, but patience and perseverance is what normally wins the day. So this puts the entire publication in doubt, whether it be by misstep or otherwise. I was waiting too for something incredible and instead was immediately disappointed. 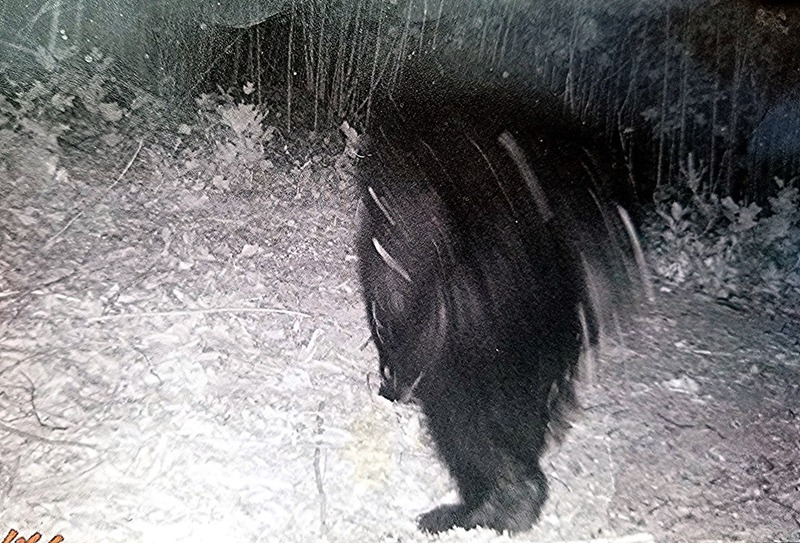 Soon afterward Dr. Ketchum fell into the category of what some researchers call the “woo.” She began to claim Bigfoot was braiding her horses hair on her ranch, and a very bizarre to say the least Bigfoot encounter. (Shakespeare: Romeo and Juliet Act One Scene 4). An article on Elf and Fairy Knots and lore can be read here. Now we can move those into the Bigfoot column. Dr. Haskell V. Hart holds a PhD in chemistry from Harvard University and has a physical, inorganic, and analytical chemistry research background. He was Associate Professor of Chemistry, University of North Carolina at Wilmington, after which he was Senior Staff Research Chemist and Research Manager at Shell Chemicals. At Shell he both conducted analytical research and managed various analytical departments. His research interests have included analytical applications of x-ray diffraction, electron diffraction (two database patents), and gas chromatography-mass spectrometry. 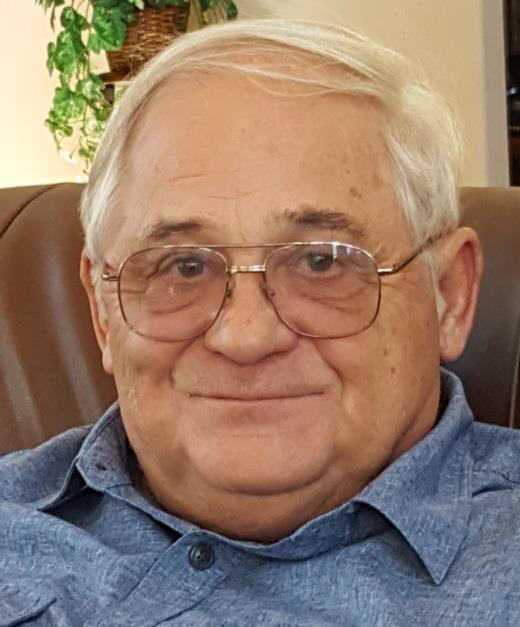 Since his retirement, he has focused on long-range detectors and application of DNA sequencing to species identification, especially relict hominoid candidates. 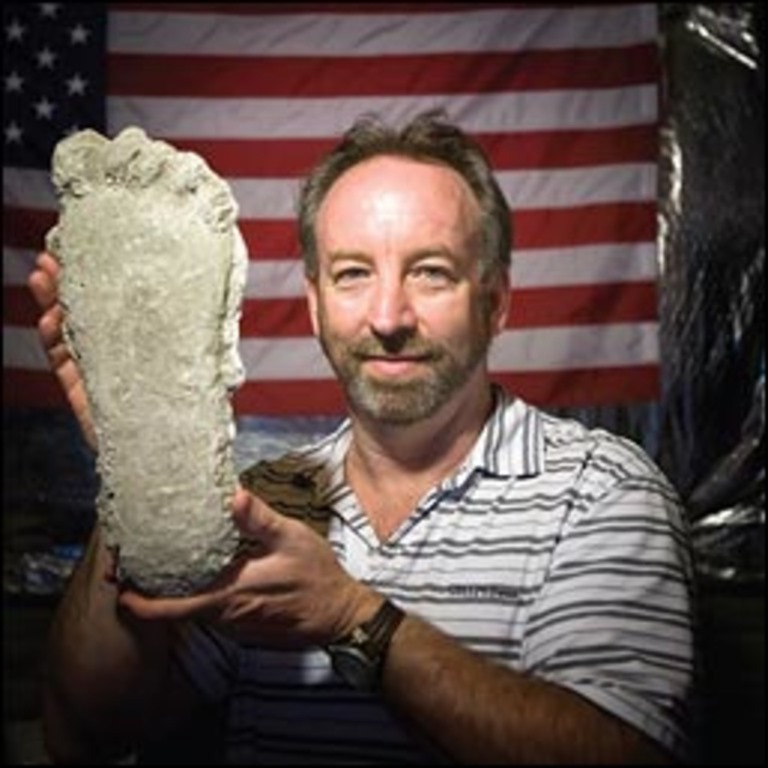 His blog, www.bigfootclaims.blogspot.com, contains over thirty articles on this subject and related issues. Dr. Hart did a study of his own on the Ketchum Study and came up with some interesting take aways for those who want the science to debunk Ketchum’s rather incredible findings of a new Relic Hominid. Clearly, the Ketchum et al. study would have benefitted from this universal primer approach. Sequencing “whole” nDNA genomes of a black bear (S26) and a dog (S140) would have been avoided, and likely many other samples would have shown nonhuman matches by mtDNA sequencing with universal primers. 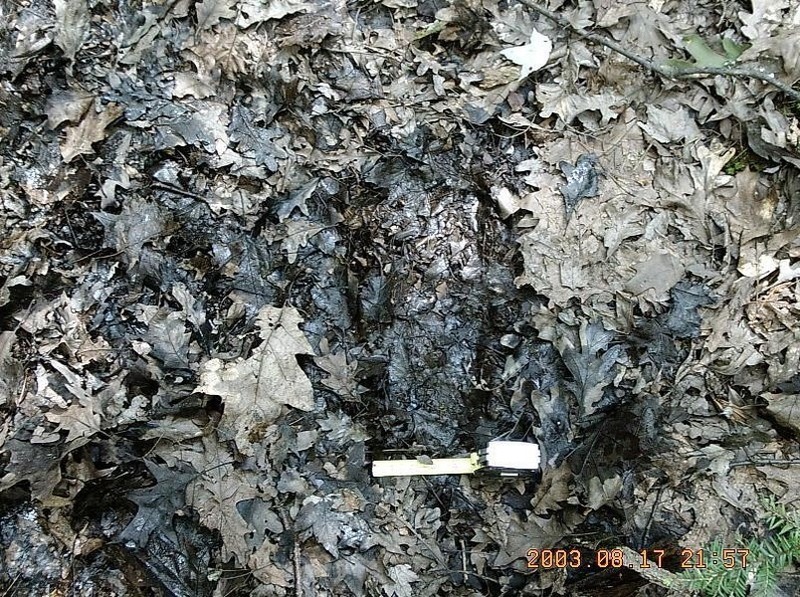 It seems unlikely that all 111 of their study samples collected in the woods would turn out to have human mtDNA as reported, unless, of course, they were contaminated. Short Tandem Repeats at Microsatellite Loci… The method is used in criminal forensics and population genetics, and was used by Ketchum et al. (2013). Unfortunately, the method requires that you know what species you are dealing with and what the lagging and leading strand sequences are in order to pick the correct primers to sequence the intervening STRs (number of repeats). The method is not suitable for totally unknown samples. Specific Gene Sequencing…In a manner similar to mitochondrial methods, primers can be selected to target a specific portion of a nuclear gene, usually to detect SNPs related to a specific phenotype (gene expression). Ketchum et al. (2013) used this method with several genes, as discussed below. Again, the method requires detailed knowledge of the specific species’ gene sequence to select appropriate primers. The method is not suitable for totally unknown samples. 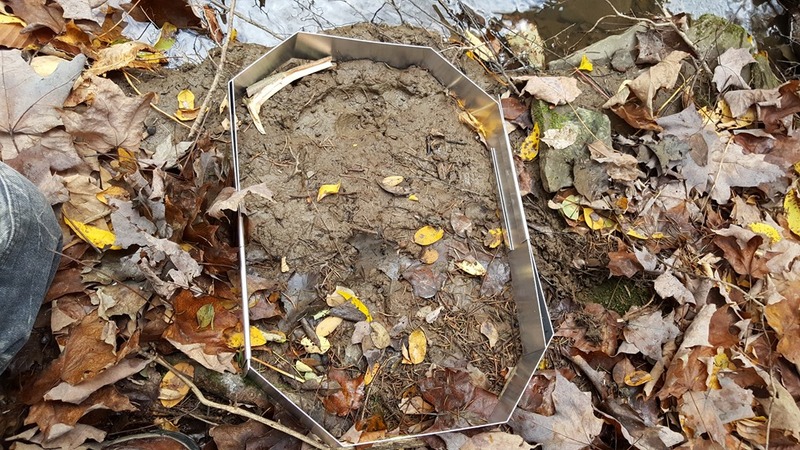 Bead Array Analysis for SNPs…The method is not suitable for totally unknown samples, except as a very expensive and complex way of matching an unknown sample to a very specific known species, with no indication of the species if there is no match. This was the Ketchum et al. (2013) approach: attempting to match unknown samples to human. Use of a reference sequence …Unfortunately, their method used human chromosome 11 as a reference for the sequencing, thereby both greatly reducing the length of the resulting consensus sequences and biasing them toward only highly conserved human genes. S26… Ketchum et al. 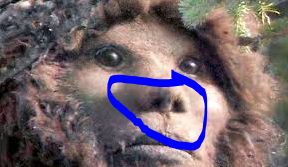 concluded that all three sequences were from an unknown male primate/human female hybrid, and that they contained a mosaic of both human and other primate segments. 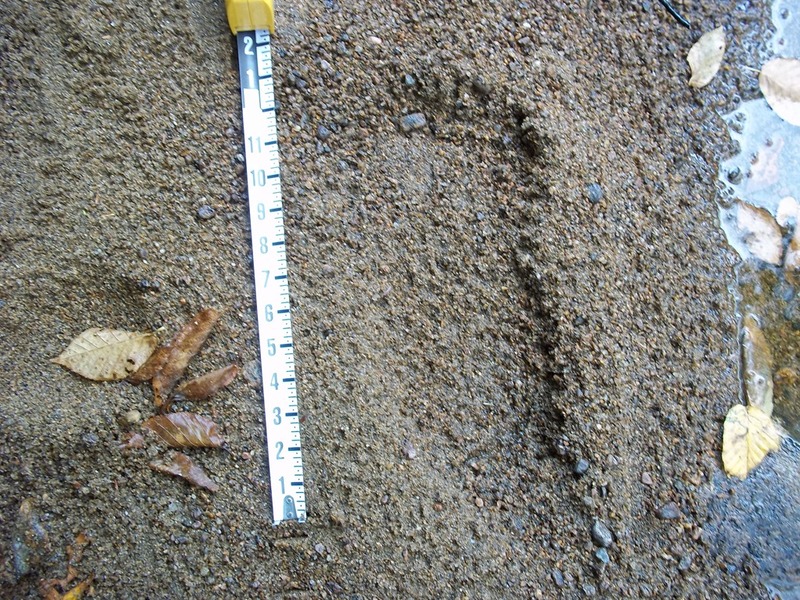 Sample 26 is a black bear Ursus americanus). From searches of Genbank with BLAST™, using the whole S26 nDNA sequence as query, it was found that S26 matched human and other primates only 94-95%, but matched polar bear (Ursus maritimus) about 98-99%. 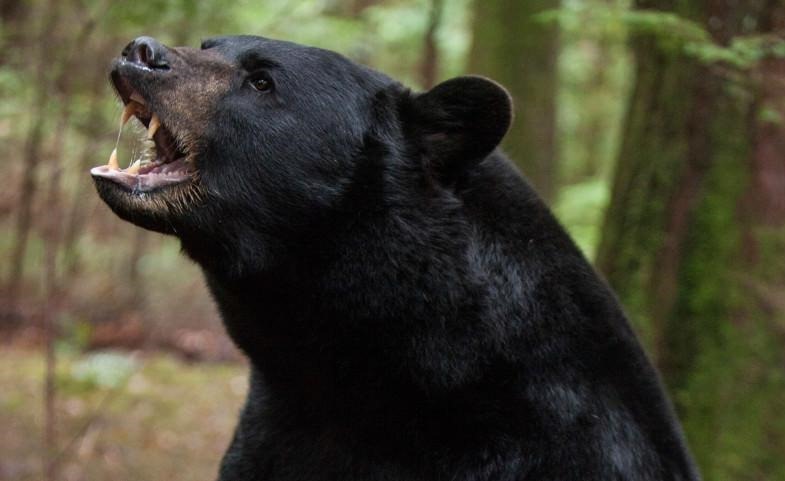 Black bear sequences in GenBank were sparse and relatively short, but matched S26 100%. Will someone please feed S26? S31… Ketchum et al. correctly concluded that S31 is human. Most database hits were 100% ID modern human (Hart, 2016a). That’s not quite what we expected!!! 100% Modern Human??? 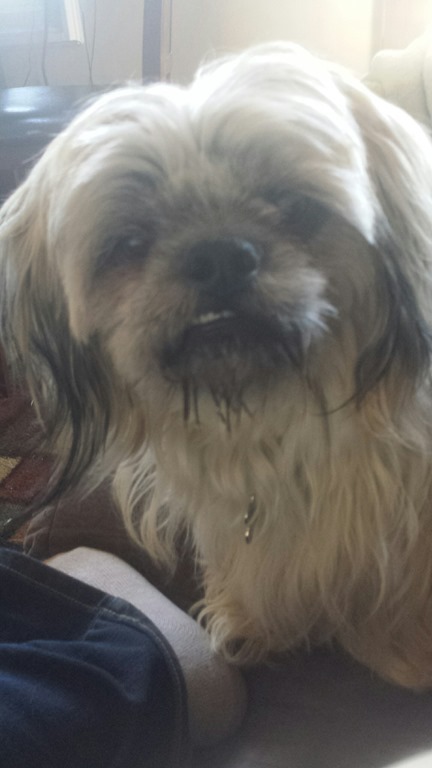 S140… Sample 140 is a dog (Canis lupus familiaris) or less likely a wolf or coyote, not a sasquatch. Since there is a wealth of dog DNA in GenBank, no other source was queried. Hits averaged 99% ID match to dog compared to 94% for both human and other primates (Hart, 2016a). Dr. Haskell outlines the proper DNA sequencing of unknown subjects at the end of his report as well. A great guideline for future DNA studies. So there we have it. It would appear that the Ketchum Study had a theory prior to testing, and went with it. Picture on Dr. Ketchum’s site… wow. The results for them were either one pointing to what they wanted to believe, versus what it was actually. Her bias, I cannot prove, but in my opinion it was there. And now, there seems to be some science behind that opinion. Well at least that’s how I see it. I always love when things are found. 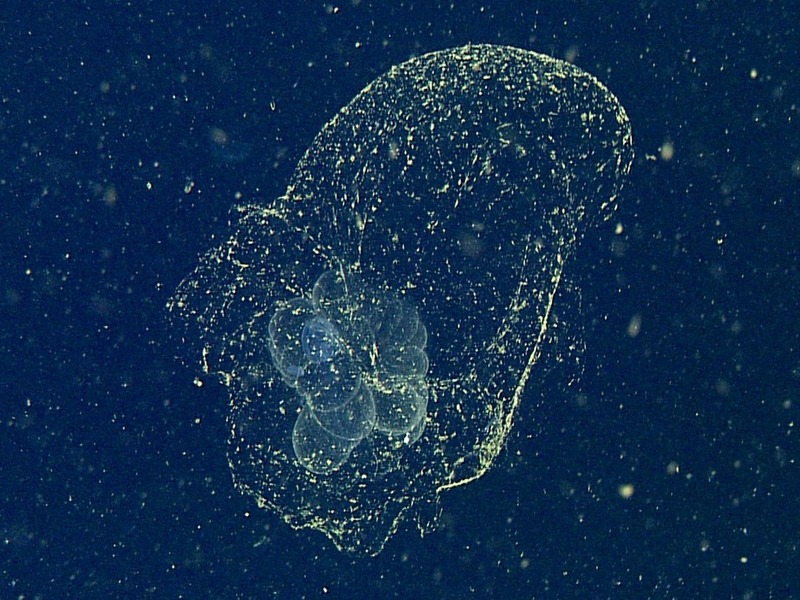 In one case the Sea Blob was finally photographed after not being seen for over 100 years. The Bathochordaeus charon, not seen in 100 years was photographed in Monterey Bay, California. 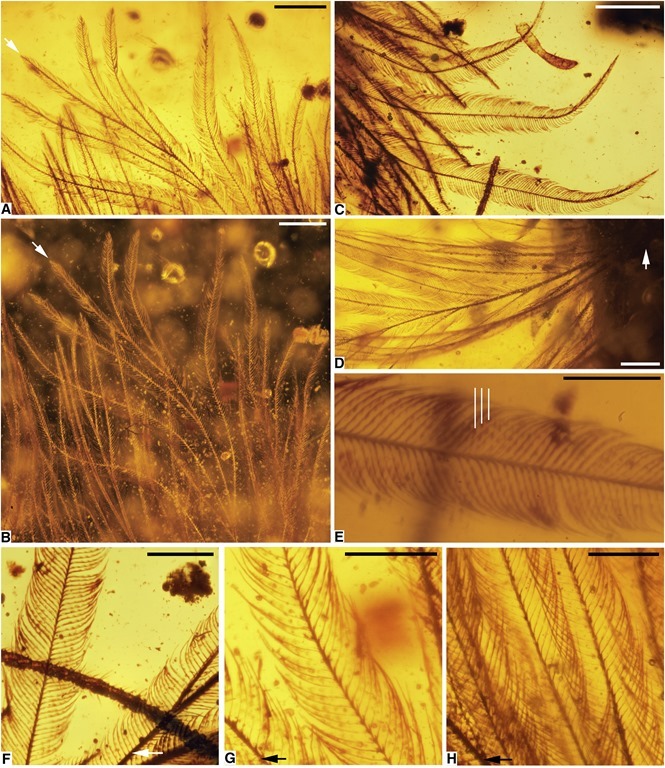 And in other exciting news scientists have found dinosaur feathers (that’s right feathers) embedded in amber. The feathered tail of a 99-million-year-old dinosaur, complete with eight vertebral segments as well as evidence of soft tissue and blood, has been found in Cretaceous amber, according to a December 8 study in Current Biology. The 1.4-inch segment likely came from a coelurosaur about the size of a sparrow, the authors wrote in their paper. New discoveries and rediscovered animals, motivates me as we still know very little about what has inhabited, or continues to inhabit, this planet! 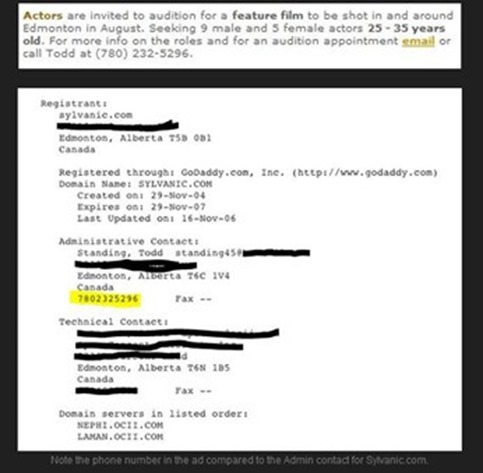 I started using the original video for analysis rather than using the picture circulated on the internet. Strangely the pareidolia aspect of it comes into perspective. Very clearly now you see a leaf which at this angle is visible. The shadowing at another angle gives it the effect of looking like a face.